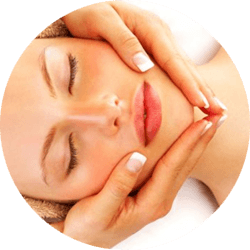 A facial treatment comes with complimentary skin type and condition analysis and will be performed after a brief discussion about your particular face skin care needs. new add-on treatment – Hot Caviar Mask! Caviar Extract is rich in energizing substances – vitamins (A,D, B1, B2, B6), nucleic acids, phospholipids, proteins and micro-elements. The mask is applied for 15 mins in addition to the regular facial or microdemabrasion treatment and results in a smooth, velvety and bright skin.